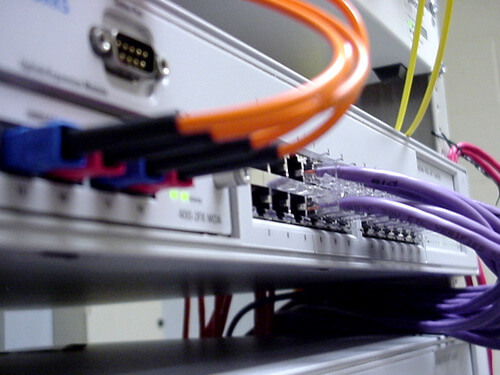 We provide a complete range of network services, for home and office. Complete and professional network cable instillation. Hardware installed and secured, data and file sharing, network printers, secure access to and from all your devices. Media devices and PC’s can also be networked for streaming video and movies to your television. Remotely access PC’s in your home or office from any internet connection with Remote Desktop, or use web based remote connect application’s. Call or contact us for an assessment of your needs, or for free onsite estimates! Home Network Router Security, we can show you how to stay safe. Router’s are the first line of defense against threats. Don’t have one, GET ONE! A local area network (LAN) is a network that connects computers and devices in a limited geographical area such as home, school, computer laboratory, office building, or closely positioned group of buildings. Each computer or device on the network is a node. Current wired LANs are most likely to be based on Ethernet technology, although new standards like ITU-T G.hn also provide a way to create a wired LAN using existing home wires (coaxial cables, phone lines and power lines).